HERTS & BEDS TRANSMISSIONS LTD.
We rebuild Manual Gearboxes, Automatic Gearboxes, Powershift and DSG Gearboxes, Transfer Units, Differentials and Axles. We offer a fast turnaround of customer own unit rebuilds, that can save several hundred pounds against exchange units. 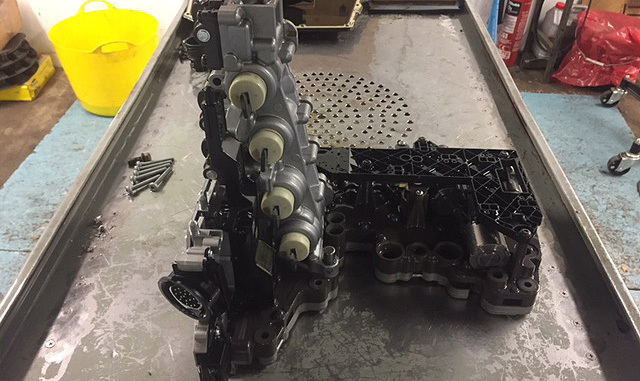 Every unit is totally stripped down and cleaned by chemical hot wash process then inspected for what parts are re-useable and what parts need to be replaced. All of our work is guaranteed for 12 months UNLIMITED mileage. For more information call us on 01462 835358 or Email Us. 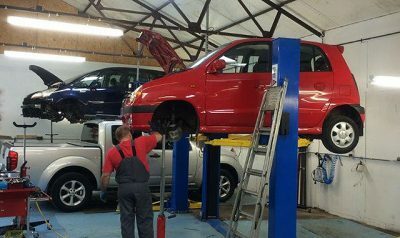 Our workshop offers full fitting service on all Car and LCV applications by very experienced ex-main dealer technicians. For more information call us on 01462 835358 or Email Us. We can recover/collect cars within 100 mile radius of our workshop normally free of charge. Large vehicles are collected by a dedicated local recovery company – call for costs. Call us for costs on 01462 835358 or Email Us. 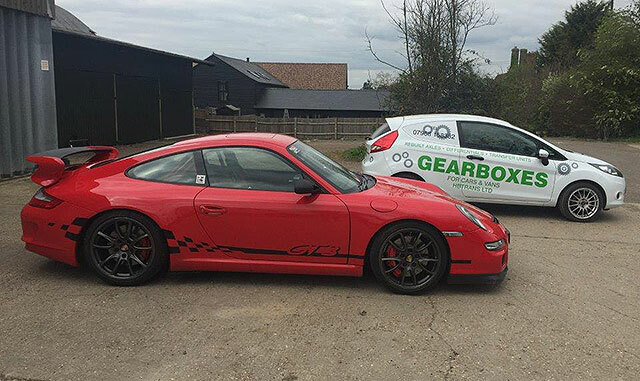 We use a vast range of Diagnostic tools including fully licensed dealer level tools that not only enables our workshop to carry out diagnostic tests, but also programme Ecu’s re-set adaptions and carry out full function testing of the many complex systems now found in modern cars. 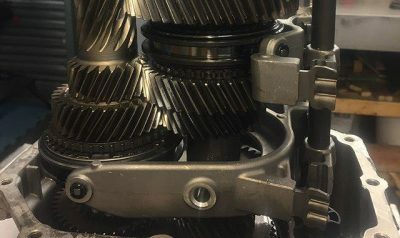 There are many so called “semi-automatic” transmissions now available that are actually manual gearboxes that have been “Robotized” These involve electro hydraulic units that do all the clutch operation and gear selection without a gearstick or clutch pedal. Again these can have several issues and need to be diagnosed correctly to rectify what can be a simple fault or something more involved. 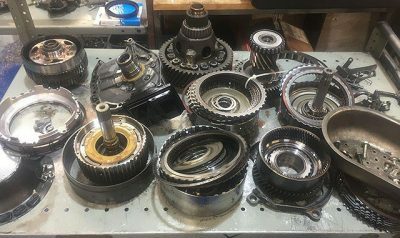 I started rebuilding axles and gearboxes back in the early 80’s when cars were mainly 4 speed manual rear wheel drive, which were much simpler in operation. 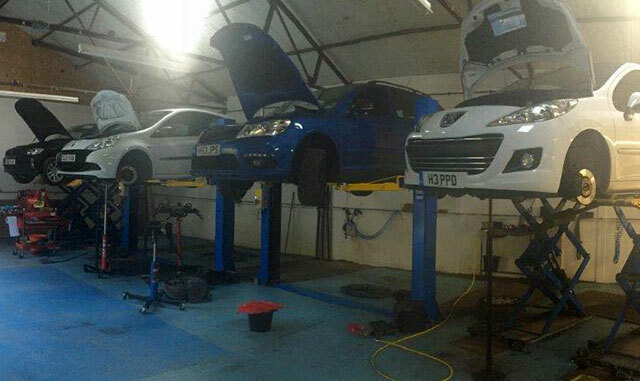 Our workshop would be full of cars like MK1 Escorts, Cortinas and Jaguars. As time moved on, so did the cars, with front wheel drive becoming more popular, such as Vauxhall Astras and VWs. Back then we would see our work split pretty evenly between rebuilding gearboxes, rear axles and differentials. 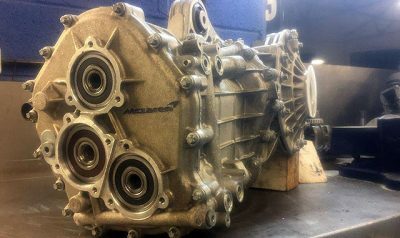 Currently 90% of our work is gearbox related and 10% would be transfer units and differentials. 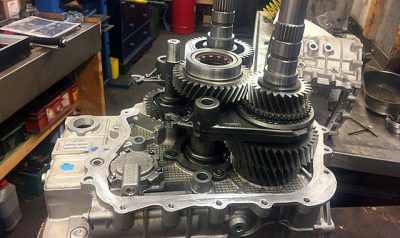 Today’s transmissions are much more complex in design and operation, with a massive influx of electronic control or ‘mechatronics’ which can make our job of fixing problems very challenging – but what we strive to do best, is fix a problem by rebuilding it, rather than taking the more expensive option of replacing. Address: Unit 3, Radwell Grange Farm, Radwell, Baldock, Herts, SG75EU. 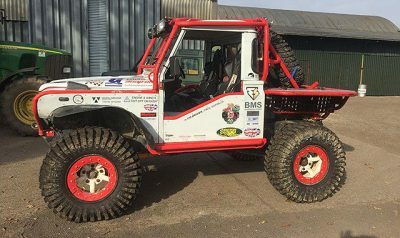 © COPYRIGHT 1997 - 2017 HERTS & BEDS TRANSMISSIONS LTD. - ALL RIGHTS RESERVED.